Located in Toronto, Ontario, the fourth largest city in North-America, you’ll have much to see and experience while you’re here. 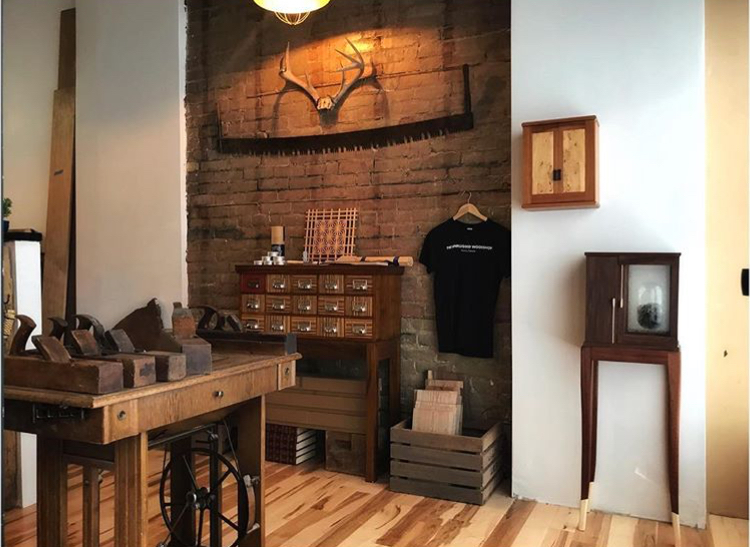 The UW-Toronto is also proud to host our very own “Hand-Tool Emporium” where you’ll find some of the finest hand tools available anywhere on the planet. With makers and manufacturers from Canada and the United States, England, France, New Zealand and Australia, you’ll be able to put these tools to test during your classes and courses. The school is well equipped with traditional style workbenches and dedicated saw benches. Each bench is equipped with a full set of tools and task lighting. Students are able to complete any task from sharpening to french polishing and parquetry at their bench with no need for additional resources. This makes our schools a truly hand-tool, work-friendly, environment. We offer a range of classes from a 2-hour Introduction To Hand Tools, all-day Bootcamp Classes, Green Woodworking Classes, and many more. 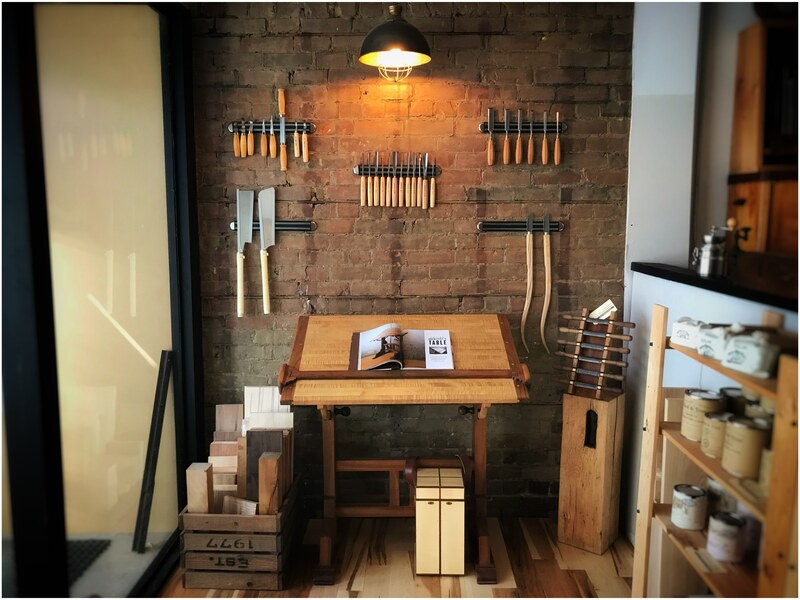 The Unplugged Woodshop is dedicated to providing students with a safe and inspired, educational experience through the proper use of hand tools and the fine art of working wood. 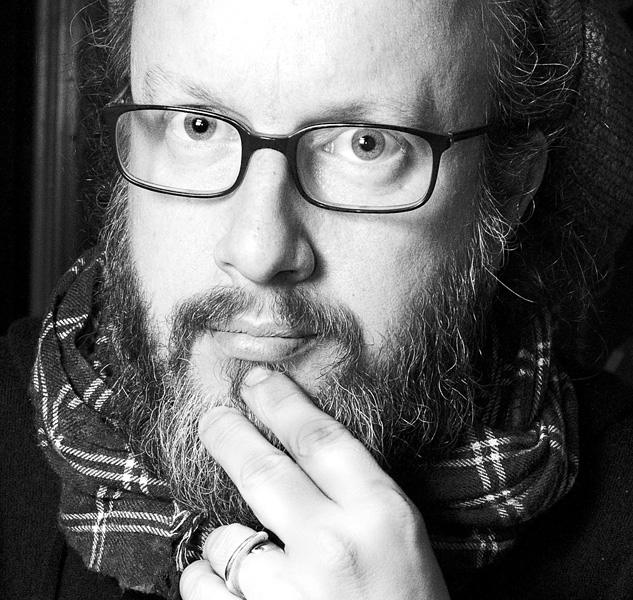 Tom Fidgen is an author, musician, designer, and maker. 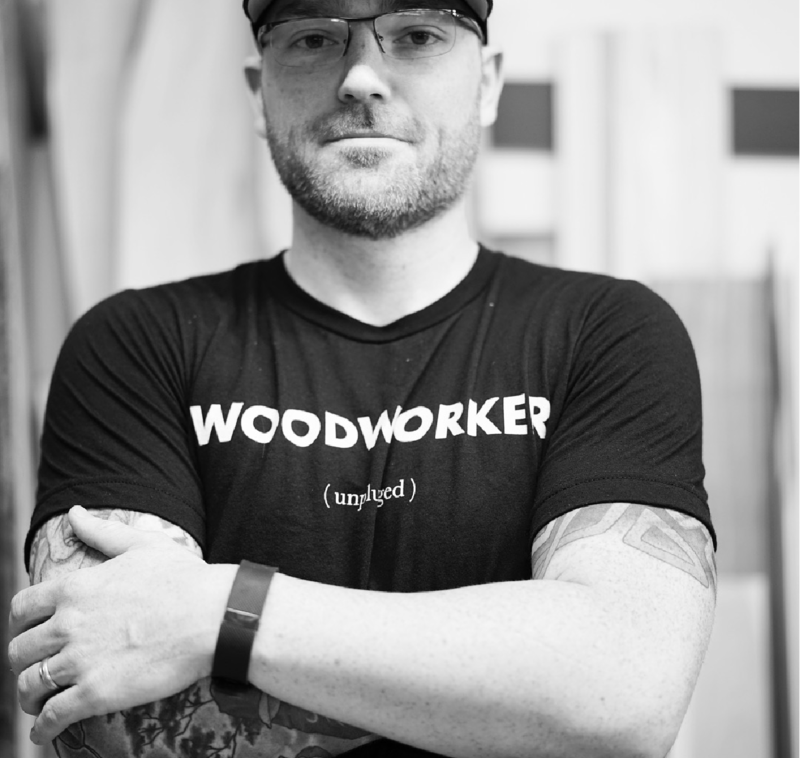 He is the founder and lead instructor at The Unplugged Woodshop Toronto. Originally from Cape Breton Island, in Nova Scotia, Canada, Tom has a background in Set Design and Wooden Boat Building. Tom has written for Fine-Woodworking Magazine, Popular Woodworking Magazine, Canadian Woodworking Magazine, Furniture & Cabinetmaking Magazine, British Woodworking Magazine, as well as the Lee Valley Tools Newsletter. His much-anticipated follow-up, The Unplugged Woodshop – Hand Crafted Projects for the Home and Workshop, was released with The Taunton Press in September 2013, and has received critical acclaim since its debut. Tom has a passion for teaching hand tool-only woodworking, and when he’s not at the Unplugged Woodshop Toronto, he can be found teaching at International woodworking schools around the planet. If you’d like to book Tom at a school or special event near you, get in touch with us here. The woodworking community is like no other in the support and encouragement that you can receive. I strive to ensure that every one of the students I guide truly understands and appreciates the joy that woodworking can bring to your life. This is my way to pay it forward to the woodworking community. My woodworking journey officially began in 2012. As a hobby, it meant woodworking mostly on weekends and consuming as many YouTube videos as I could. After a short 2-hour private class with Tom and a week-long intensive course in Perth, just 3 short years later Tom and I had opened The Unplugged Woodshop Toronto. 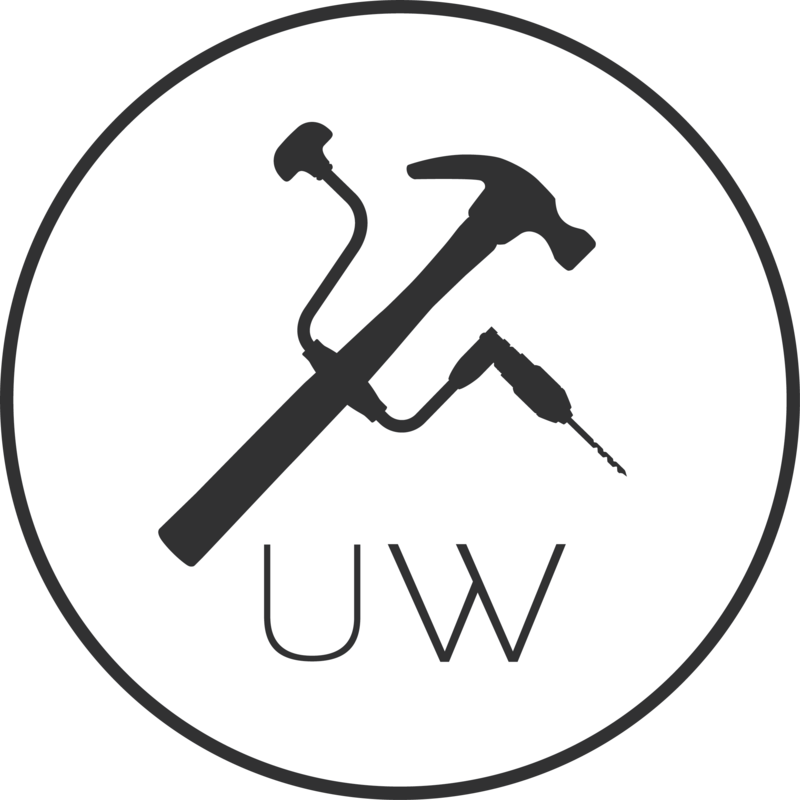 We work every day to make UW a place to introduce people to the fine art of woodworking by hand. We’d like to publicly thank our supporters, Dr. Kate Arnold and Patrick McKenna for their financial support; as well as James Stenhouse and Lee Valley Tools for their generous tool donations. 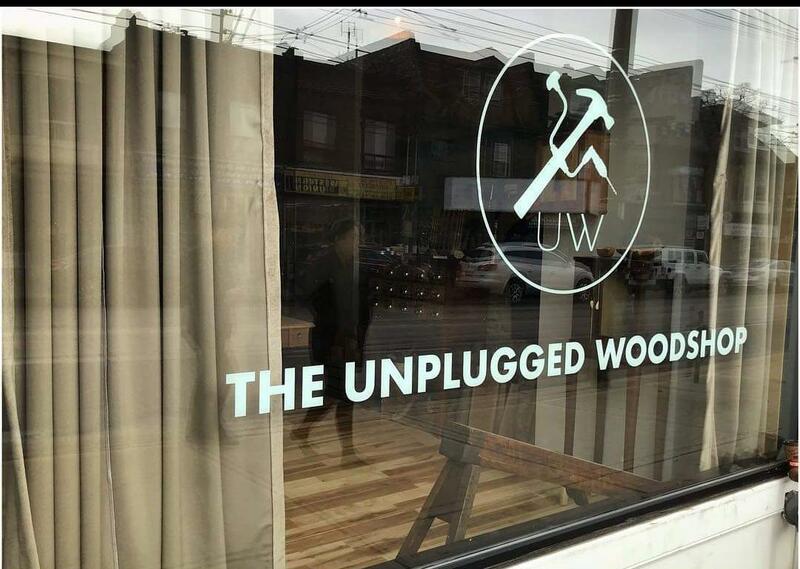 Without them, the Unplugged Woodshop-Toronto, would simply not exist.